Truth be told, this wasn’t the first bit of weirdness my teachers planted in my deeply impressionable mind. There was also the time our music teacher showed/played the Camille Saint-Saëns, Danse Macabre film strip. This one listening inserted an ear worm into my gray matter which would take me at least 35 years to finally track down. Unfortunately I wasn’t paying close enough attention when I watched the filmstrip, and I forgot the name of the song. At one point I became so desperate to find the title that I took to humming the tune to librarians hoping they’d recognize it and tell me the name. The children of my class were “treated” that day to a phonograph recording of Sparky and the Talking Train. Not unlike Talky Tina* from the Twilight Zone’s Living Doll episode, this tale involved an anthropomorphized train that only a boy named Sparky seemed to be able to hear. Thankfully this recording survives and can be purchased for download. “Goodbye, Sparky!” the train replied. [Spoiler Paragraph] Fortuitously, Sparky’s unique gift for conversing with the locomotive saved the lives of everyone on the passenger train, for alas one of the wheels was loose, and Sparky was able to warn the conductor. What sticks in my head was how incredibly disturbing the voice of the train was. Just the thought of a train speaking haunts me. Even more disturbing was the fact that the teachers couldn’t recognize how nightmarish the whole scenario was. Yet I have to assume one master of horror might have listened to that same recording. 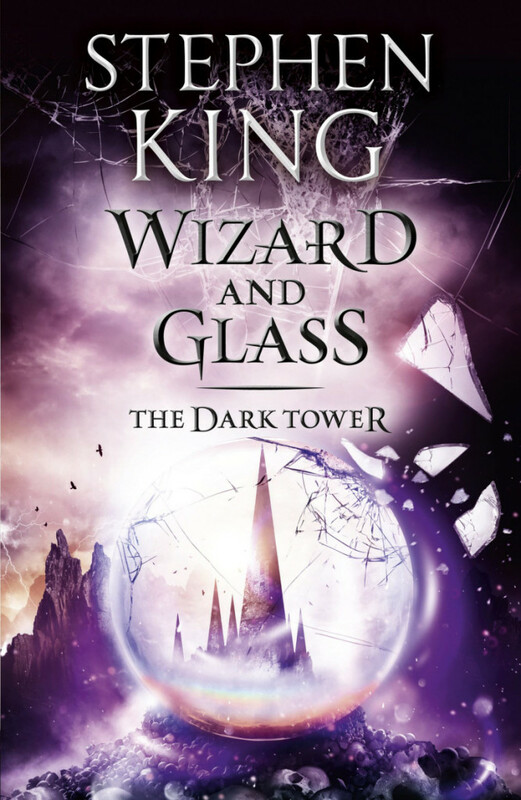 Fast forward to Stephen King’s Dark Tower series, specifically books III and IV, The Waste Lands and Wizard and Glass. In The Waste Lands, Jake buys a used, creepy kids book that was published in 1942 titled Charlie the Choo Choo, wherein a train engineer discovers a steam locomotive is actually alive. There is something rather unsettling about the train though. It is noted that Jake doesn’t trust Charlie’s smile and that the children riding on the train looked as if they were screaming in terror. I was immediately struck by the similarly horrific nature of King’s Charlie and Sparky’s talking train, and apparently I’m not the first to draw this comparison. In the following video, this YouTuber overlays King’s words with the cover of Sparky and the Talking Train, and visually points out some similarities. In Wizard and Glass, Charlie is fully realized as Blane the Mono, a homicidal monorail that tries to kill the Roland’s katet. Blane’s intelligence comes from aging di-polar computers that lie in tunnels beneath the city of Lud, and unfortunately for the travelers, Blane has gone insane. I cannot help but think Stephen King listened to Sparky and the Talking Train at some point in his life and recognized the horrific subtext to the story. So why bring all of this up? Well, in attempting to understand why the incidents where my piano played itself were so frightening (see Spoiled Melodies), it occurred to me that there was a flip-side to Sparky and the Talking Train record…Sparky’s Magic Piano. Since all of the Chapelwood Elementary children were well behaved that day, the disturbing tales just kept on coming. We were allowed to hear the tale of Sparky’s Magic Piano. Apparently old Sparky had a gift for conversing with his piano as well — a piano which could play itself! I’m telling you listening to this whole recording, though it is meant to be a fun fantasy, is like listening to a horror story. If some spirit decided to tap deep into my psyche in order to find material that would scare the living daylights out of me, it couldn’t find better material than this. Final Note: Sparky’s character in later recordings was eventually voiced by none other than June Foray, who coincidentally also voiced the aforementioned Talky Tina. *This post contains affiliate links that, at no extra cost to you, help pay for the upkeep of this site.